The Canon Powershot SX740 HS is a pocket super-zoom with a 20 Megapixel sensor and a huge 40X zoom range extending from 24 - 960mm. If it's the longest zoom in a pocketable compact you're looking for, you won't be disappointed. The SX740 HS offers PASM exposure modes, fast 10fps continuous shooting, 4k video, and has a flip up screen that's great for selfie shooting. On the downside, the 4k video involves a tight crop that may make the effective telephoto reach even longer, but makes the short-end much less wide than when filming in 1080p. To be fair the same restriction applies to the Lumix TZ90 / ZS70 and overall the SX40 HS provides a good balance between simplicity and sophistication for those who like a little bit of control, but are equally happy relying on Auto. 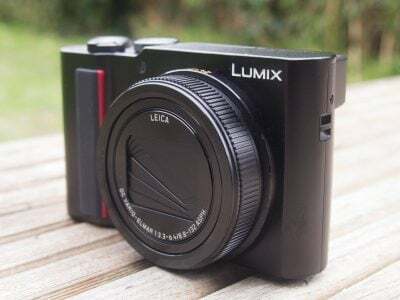 Recommended, but also consider its main rival the Lumix TZ90 / ZS70 which may have a slightly shorter range, but offers more physical controls, a touch screen, RAW support and a built-in viewfinder, all for a roughly similar price thanks to being an older model. It's also worth remembering if you don't need 4k video or the 10fps bursts, Canon's previous SX730 HS offers much the same features at a slightly lower price while stocks last. Check prices on the Canon SX740 HS at Amazon, B&H, Adorama, or Wex. Alternatively get yourself a copy of my In Camera book or treat me to a coffee! Thanks! The Canon PowerShot SX740 HS is a pocket super-zoom camera with a 40x / 24-960mm optical range, 20 Megapixel 1/2.3in sensor, 4k video, Wifi and Bluetooth. Announced in July 2018, the SX740 HS represents a mild refresh over its predecessor, the Canon SX730 HS, inheriting the same lens, sensor, flip-up selfie screen and wireless capabilities as before, but now employs the latest DIGIC 8 processor which additionally supports 4k video and burst shooting up to 10fps. As with all super-zoom cameras, the key specification is the lens, with the SX740 HS offering an impressive 40x optical zoom equivalent to 24-960mm. It may now be the third outing for this lens on an SX700-series camera, but it still remains competitive with rivals, most notably against the Panasonic Lumix TZ90 / ZS90 which has a 30x / 24-720mm range. The sensor’s unchanged too, packing an ambitious 20 Megapixels into a small 1/2.3in area, and as such won’t deliver great quality at high ISOs, but again the Lumix TZ90 / ZS70’s in the same boat too. That said, the Lumix TZ90 / ZS70 offers the chance to also shoot in RAW, a feature that still sadly eludes the SX740 HS. The big new feature on the SX740 HS is 4k video at 25 or 30fps, made possible by the presence of the DIGIC 8 processor, but like the EOS M50 where DIGIC 8 made its debut, filming in 4k takes a 1:1 / 8 Megapixel crop from the middle of the sensor resulting in quite a severe reduction in the field-of-view. By my calculations, filming in 4k will reduce the horizontal field-of-view by 1.35x reducing your chance of capturing a wide field, allowing the long lens to reach even further, but with an even greater chance of wobble. 1080p still uses the full sensor width though and is available up to 60p, and regardless of the quality the SX740 HS can capture half hour clips. In my review I’ll take you through what you can expect from the SX740 HS’s zoom lens, as well as it’s other features including 4k video, continuous shooting and wireless connections. I’ll also see how it measures up against its biggest rival, Panasonic’s Lumix TZ90 / ZS70. There’s not much that’s changed about the PowerShot SX740 HS’s appearance, in fact it’s virtually identical to its predecessor the SX730 HS. 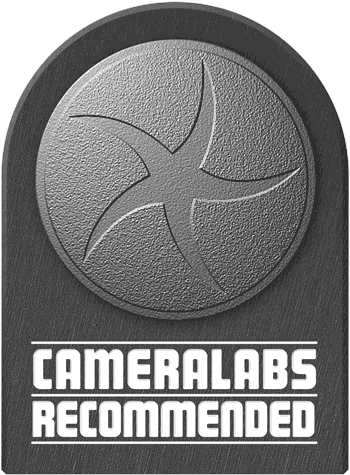 As you can see, our review model is silver, but it’s also available in black, if you want to see what that looks like my Canon SX730 HS review will give you a pretty good idea. The biggest competitor to the SX740 HS is, of course, Panasonic’s Lumix TZ90 / ZS70. That’s a tiny big bigger and a little heavier; both models are pocketable, but the SX740 HS is a little easier to get in and out. At first glance the top of the PowerShot SX740 HS looks identical to it’s predecessor, but take a closer look and you might spot that the creative shot position on the older model’s mode dial has been replaced with a food mode. I was quite fond of Creative Shot mode, which automatically applied a selection of filters to a shot to produce six variations. But given the popularity of food photography is probably second only to selfies, Canon may have made a smart move here. Round the back the control layout is unchanged and the PowerShot SX740 HS retains the three-inch 922k dot screen of its predecessor. The image on the SX740 HS’s screen is a tad larger than the Lumix TZ90 / ZS70, but that’s where the advantages begin and end. 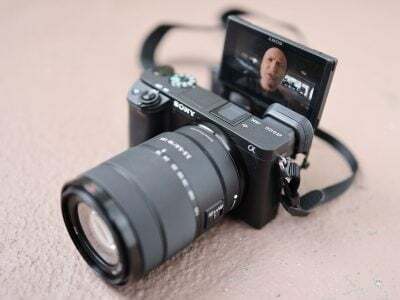 Both models’ screens fold upwards through 180 degrees to face forward for selfie-shooting, but the Lumix TZ90 / ZS70’s is touch sensitive and it also has a built-in electronic viewfinder. This may be the third generation SX700 series PowerShot to feature the 24-960mm f3.3-6.9 lens, but it’s still one of the longest ranges you’ll find in a pocket super-zoom. Here it is at the 24mm equivalent wide angle setting, which is wide enough for landscape shots like this as well as interiors, selfies, and group shots. But that’s as wide as it gets, there’s no panorama mode on Canon compacts. Here’s the SX740 HS zoomed all the way in to its 960mm equivalent focal length, where the maximum aperture stops down to f6.9. By comparison, the Lumix TZ90 / ZS70’s 30x zoom starts at the same 24mm equivalent wide angle, but ‘only’ extends to 720mm at the telephoto end of the range. If you want to see how they compare take a look at my Canon PowerShot SX730 HS review. In macro AF mode, the SX740 HS can focus closer than the Lumix TZ90 / ZS70 – 1cm compared with 3cm on the Lumix. 1cm is pretty close – for this and other macro shots the lens was just about touching the subject. The problem then is that you can easily cast a shadow with the lens. If you move back a bit and zoom in you can’t get quite the same size ratio though. Courtesy of the new Digic 8 processor, the PowerShot SX740 HS gets a boost in continuous shooting speed to 10 frames per second, up from just shy of 6fps on the earlier SX730 HS. At this speed the focus and exposure are fixed on the first frame. 10fps is respectably quick for a compact, though the Lumix TZ90 / ZS70 can match it and also offers 30fps at 8 Megapixel resolution thanks to it’s 4k Photo modes. The 40x stabilised zoom on the SX740 HS makes it ideal for bird and wildlife photography. When fully zoomed in to the maximum 960mm focal length, it can be easy to lose track of moving, and even stationary subjects. But if you press and hold the Framing Assist button on the rear, just below the thumb rest, the lens will zoom out so that you can locate your subject and centre it in the frame before releasing the button to zoom back in again. 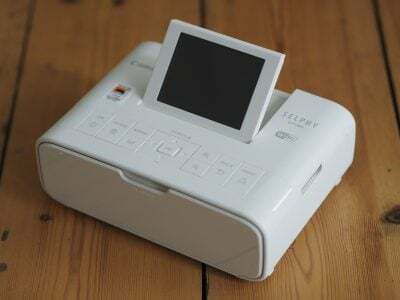 Finally, here’s a short clip that shows the SX740 HS’s miniature mode. This mode only works when the video quality is set to 1080 / 25p. There are four speed settings available, normal, 5x, 10x, and 20x. I recorded this clip in the 5x mode and shot for 40 seconds, producing a clip 8 seconds long. The 4k video mode takes a 1:1 8 Megapixel crop from the middle of the sensor resulting in quite a severe reduction in the field-of-view. In the image above, the outside of the red rectangle shows the 4k coverage compared with 1080p. That effectively gives you a slightly longer telephoto, providing you can hold it steady enough, but it’s not good news if you want to shoot 4k vlogs, selfies, groups, or cramped interiors.